As a fellow in the University of Arizona College of Nursing’s inaugural 2016-2017 Integrative Nursing Faculty Fellowship (INFF), faculty member Mary O’Connell, MA, RN, PHN, has enthusiastically incorporated elements of the science, theory and practice of integrative health into her classroom curriculum. 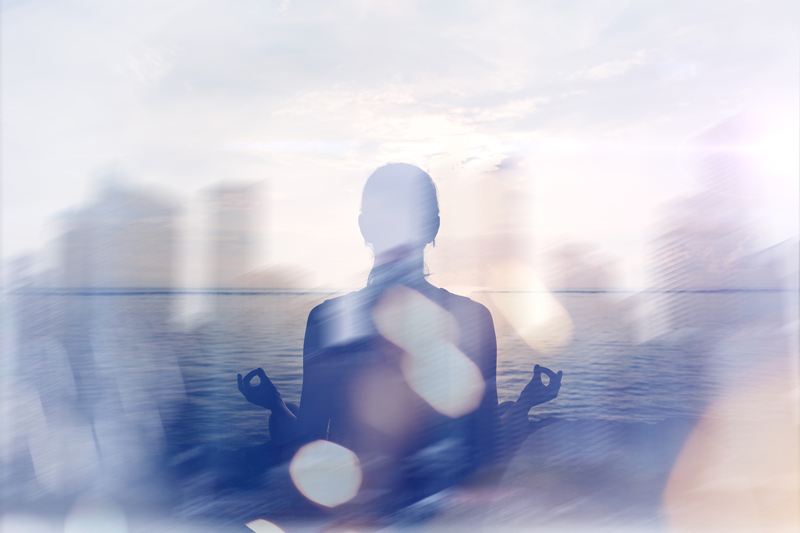 In September, fulfilling the Fellowship’s mission to help nurse-educators creatively and effectively incorporate integrative nursing into education programs, O’Connell launched a new classroom mindfulness initiative called Code Lavender. Designed for the BSN senior students to personally experience integrative health techniques, she helps them engage in different integrative therapies as a form of self-care and to learn potential ways to help the patients for whom they care. What did you learn from the INFF? The experience opened my eyes to the different therapies that we can apply as a compliment to the usual therapies not only for our patients but also for our students and their own self-care and wellbeing. As fellows, we were asked to explore a therapy or two in depth on our own, and I chose to delve into acupressure and acupuncture as well as some aromatherapy. While I might not yet be skilled in acupressure or acupuncture, I am able to help people know about them and can appropriately recommend when they can be tried. What was the biggest takeaway from your experience? That you should always start with the least intensive modality and build from there. For example, if I had a patient in pain, rather than getting the oxycodone, I would probably begin with some visualization, a mindfulness technique intended to help realize centering, calmness and wellbeing and assess the effects. This might reduce the need for strong painkillers – and help alleviate the public health problem we have with opioid addictions. I’m also a big believer in another principle of integrative nursing: the healing powers of nature. For example, making sure that patients get outdoors and exposed to natural light have a powerful effect on relieving negative mood and mental decline. For me, helping students learn the core six integrative principles and translate them into nursing healing approaches is very gratifying. How did Code Lavender come to be? Within my INFF cohort, one of our projects was to develop our own curriculum change that would educate students about aspects of integrative nursing. Often in health care, when a code is called, it is in response to a need (e.g., adverse event). Code Lavender was designed as a call to action for students to treat themselves and others, using compassionate, healing acts. So far, we’ve done a Code Lavender with mindfulness and an aromatherapy activity as ways to alleviate stress before exams. I have asked students to conduct their own version of an individual Code Lavender exercise with another student in their cohort. Tell us more about changes to the classroom experience. All students keep a self-care journal over the span of eight weeks. They interface with a buddy each week about how things are going so they can support each other. Based on their interests, students may also choose to create something visual that’s a powerful reminder of personal wellness for them, present it and then provide a write-up concerning their choices of the medium. For quieter students who may not like getting up in front of a group, they have chosen to do gratitude journaling over the period of a month, with an evaluation at the end. What are your hopes for bringing integrative nursing and health to the fore in future teaching? I plan to continue to expose students to learning the integrative principles, and applying them both inside the classroom and when caring for patients. One of the things I’ve done during their clinical rotations is give them an assignment when they’re out there in practice, doing three twelve-hour shifts each week for a five-week period. During that time, they really get a taste of what it’s like to be a registered nurse handling a whole team of patients. Each student carries a laminated card printed with the six integrative nursing principles, and then in a weekly journal reflects on the question, ‘What integrative nursing principle did I apply on behalf of my patients this week?’ Therefore, rather than just preaching about these different therapies, students embed integrative care principles and actions into their clinical practice. It’s a way to continue the work launched in 2014 by my faculty colleague, Dr. Mary Koithan and University of Minnesota faculty member, Dr. Mary Jo Kreitzer with their landmark Integrative Nursing guide. My long-term hope is that UA nurse graduates, after becoming registered nurses, will continue to learn about integrative nursing and health and to enrich their care for themselves and their patients by applying their integrative health knowledge and skills throughout their careers.